I buy LEGO, then I just do something awesome with it. 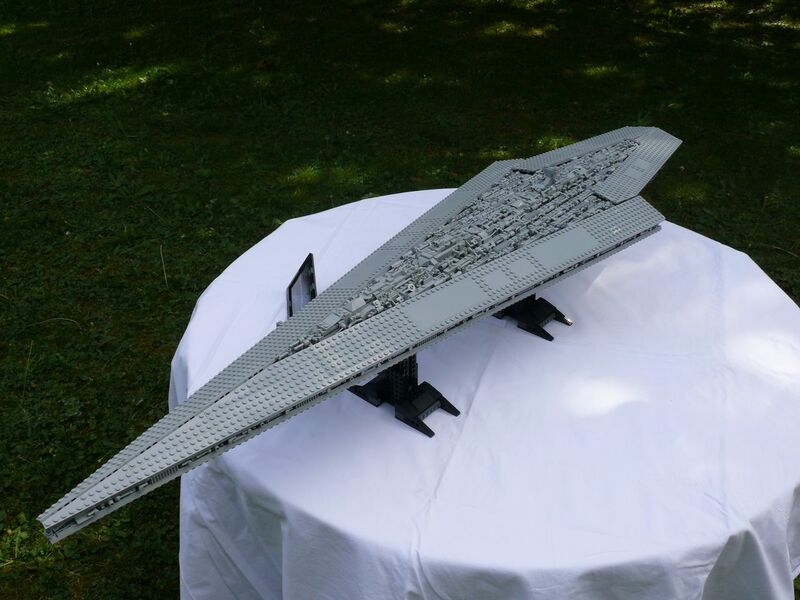 Today, I present you my latest MOC : it is a UCS Executor. I started this project at the beginning of January 2010. With that project, I had several goals. The first one is obviously that the MOC had to be accurate. Wow. I am speechless. Fantastic and superb!!!! TLG should commission your work for an official version. WOW, as in totally Wow, you have done it again Sir Anio! The sheer amount of greeble details are just amazing, I could just imagine how much time, effort, and 'resources you've put to come up with this truly masterful creation. Impressive job as always! Your collection of 'superships' are looking great. 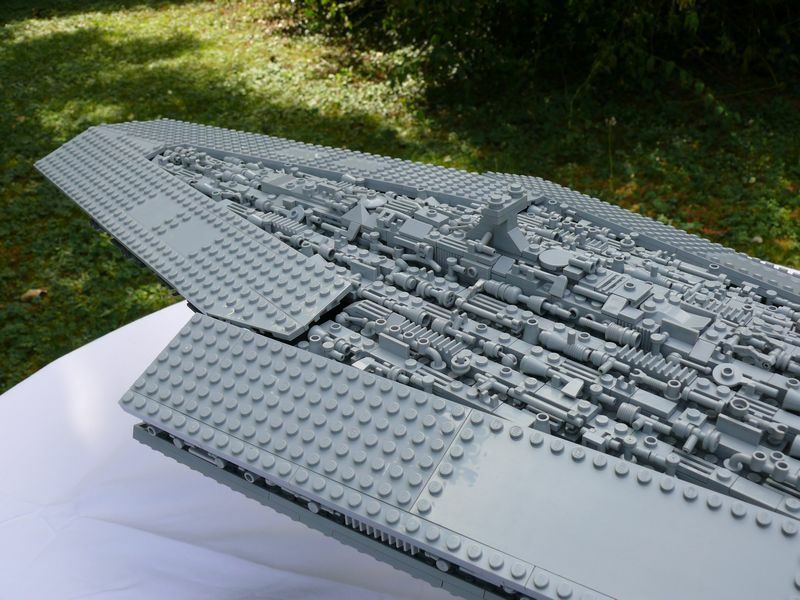 Goodness this is AWESOME 'Anio' - the details on top are fantastic, what a super-star destroyer eh ? I&#39;m a conformist&#33; 'Anio' I&#39;m a conformist&#33; ! Yeah well... it's kinda... EPIC!!! This ship is amazing! I can't believe al the detail that has gone into this one, Really, really superb job on this one, and congrats on your collection. Can't wait to see whats next Sir Anio. On a side note, may I suggest that you reduce the amount of pictures in your first post, the ship is really awesome, but it may take a really long time for it to load for people with a slower internet connection, and personally I think it's a crime if people can't see this beautiful creation. excellent as always i was keeping an eye on this on your website! Just beautiful! An tremendous model....you are a true master! 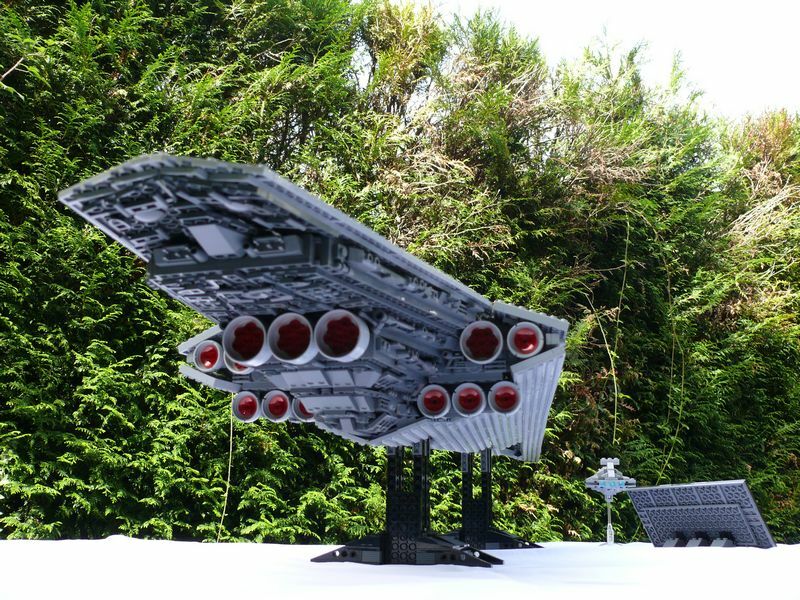 World class MOC! Thanks for detailing the problems you encountered during the build and how you solved them. The back/underside greebling is wonderful. Simply Marvelous! I love the greebles and the overall shape of it! I cannot find a single thing at fault, now you just need to make it minifigure scale Again, great job! That's no moon...wait...it's not a space station either...holy crap, that's one freakin' big ship!! 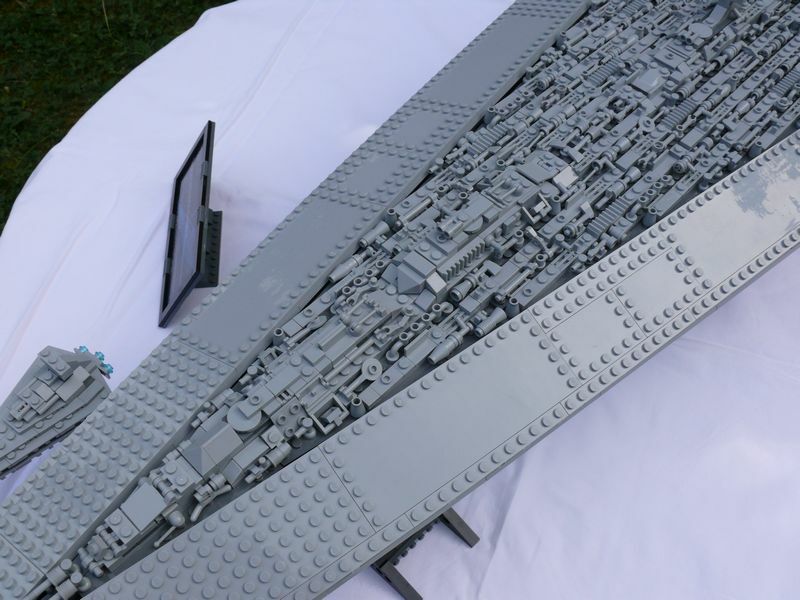 That is massive, as is the amount of greebles. Great work! It's great that you've taken us stepwise through the process of designing and tweaking the model - a real insight into how it's done - thanks! One question: the bags of bley bricks and plates in the photos - are they a special order, or are they from another UCS set? Thank you everyone for your very nice comments. I'm very flattered you like my MOC. Describing the building process is important to me. I think this can be very helpful for other people. Because a good MOC must first have a good design (something strong, optimised, etc). And the fact that on EB I can post as much photo as I want (but I remain reasonnable ; all the photos on this page are not very big), is very useful for me. Because it enables me to explain many things. On the contrary, on FBTB I can not post as much photos as I want, and that's a big problem for me. For me, presenting a MOC is not giving a link to a gallery. It is much better with the photos in the thread, with comments on each photos. Did you understand well the French posts ? Hum, I currently waiting for parts to put bigger wings on my TIE (I will show you some new photos when it is finished). Then, I have to redo my Slave and write some reviews on my website. I hope I will be able to start a new MOC in January. 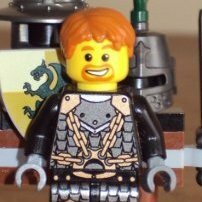 All the parts I have for my MOCs (and so, all the bags you see on the photos) have been bought on Bricklink. I never buy sets for their parts. If I want parts, I go on Bricklink. So, I get only what I need. Besides, my collection is not so big to do MOCs ( http://www.brickset.com/search/?OwnedBy=Anio ). All the UCS models are built. I don't do anythings with my Technic, because it is studless (MOCing with studless is not what I prefere...). Yesterday I bought the 10212. Like the other UCS, I will build it and put it on a shelf. So, I don't have any spare parts with the models I buy. Moreover, I hates having many parts in my storage boxes. Because when I look at them, I think "Do something with these parts !! You can't let them like that !!". That's why I rebuilt my 10030 ASAP. More generally : the fewer useless part I have, the better it is. nah i translate it to engilsh and try and read it, the translater gets a lot of words wrong and in the wrong order. Wow, great job, especially considering the part limitations you imposed. And to think, what took this down was one tiny A-Wing crashing into the main bridge. wow! not only is the moc really good. i thought this was la UCS lego set. but you have a technical specifications card to boot!. How did you make that? Amazing model! 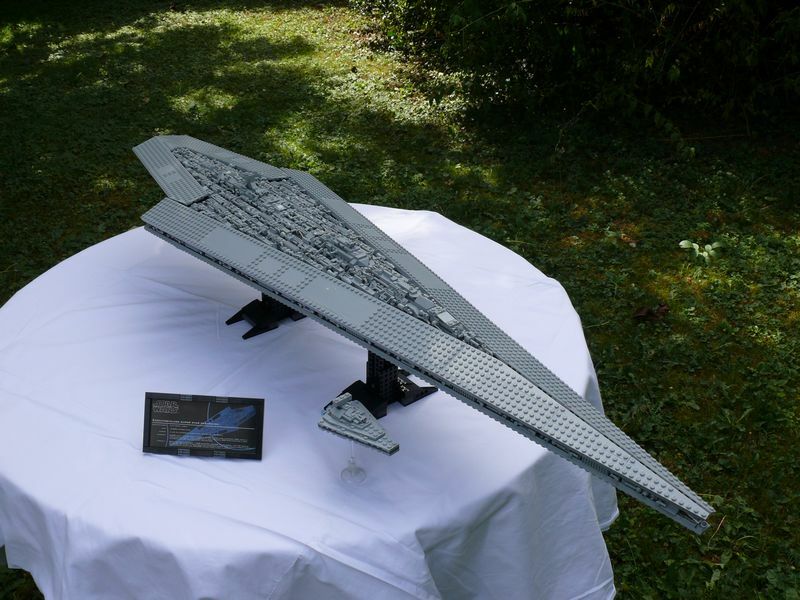 This is one of my favourite Star Wars ships, it's nice to see such a good Lego model of it-- if only TLG would release it! As I wrotte, Oxycrest did it on photoshop. I guess everything has already been said. But I am also impressed by your creation. 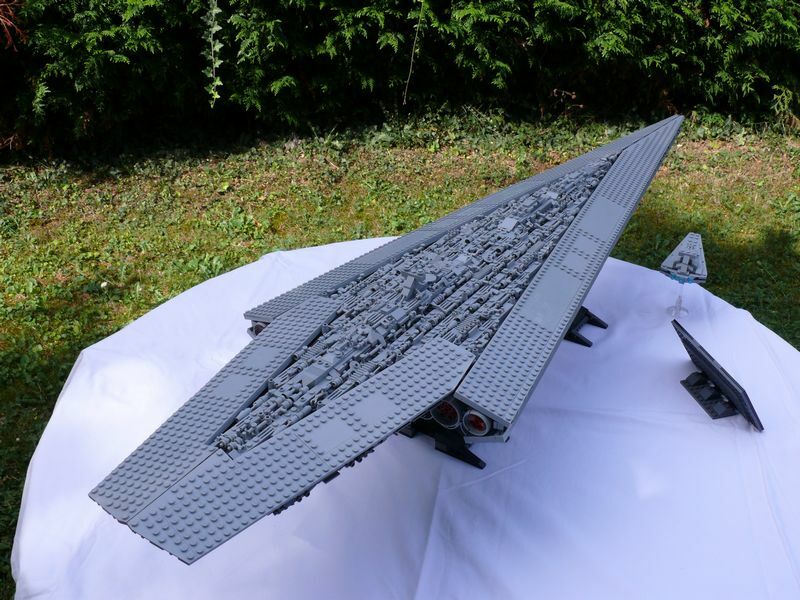 It's great to see how you managed to use many of the building techniques of the 10030 Star Destroyer set like the use of magnets to attach the wedge plates to build your very own and original version of a Super Star Destroyer. Very impressive! The amount of detail and the greeblings is really nice. It must've taken a long time to pull this off so seamlessly.